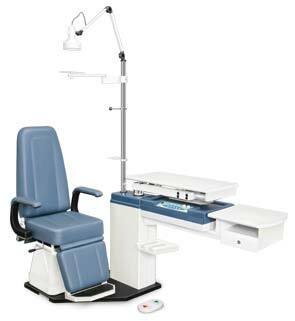 We have a state of art manufacturing unit to offer Refraction Units (CS - 04M) for ophthalmic & optometric needs. These Refraction Units (CS - 04M) offered by our company have maximum patient comfort, very long life and are easy to operate, very long life. We are acclaimed Manufacturer, Exporter & Supplier from India. The classic Refraction Units is so engineered that it simplifies all functions offering the best cost performance ratio, having added facilities. This combination of instruments & equipment mounted on it limits patients’ movements & helps the practitioner with easy and speedy mode of examination. The dust protective trial lens tray is most convenient. Professionals can install all their equipment on this newly designed unit.